This is a quick and lazy review. Why? 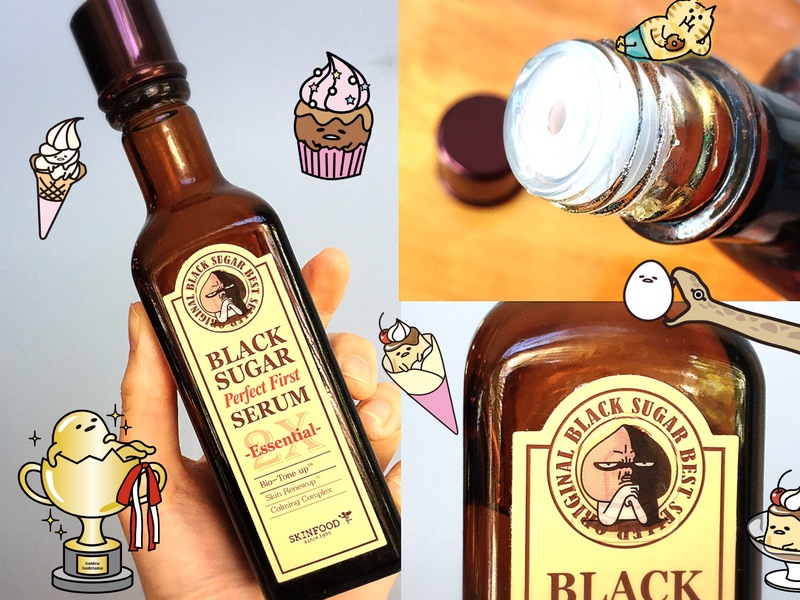 Because I’ve basically already reviewed ::inhales deeply:: Skinfood Black Sugar Perfect First Serum 2X Essential ::exhales:: in its previous incarnation: Black Sugar Perfect First Serum No. 1 Original, reviewed here. Down to the scent, consistency, and effects–I seriously can’t tell the difference other than the bottle being smaller than I remembered. The amount, 120 ml, is the same though. A little background: Sometime after I reviewed the original one, Skinfood discontinued it and released 2 new versions: 2X Light for oily skin and 2X Essential for dry skin. Reminiscing about the original’s boozy sugar scent, I bought the new version to try, opting for 2X Essential because of my dry skin type. It functions just as well as the original as a hydrating and lightly (VERY lightly) exfoliating toner. This isn’t strong enough to serve as a proper acid toner like Biologique Recherche P50 Lotion, and there’s slim chance of overdoing it. 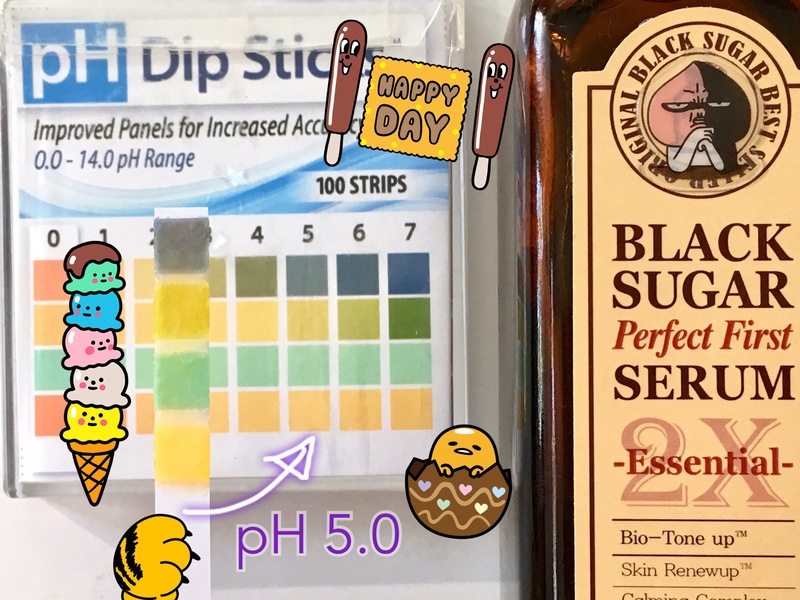 In fact, the pH is right around 5.0 whereas the original version had a pH of between 4.0-5.0 (according to my shabby test strips). Still low enough to use as a pH-lowering toner to prep skin for acid treatments. Curiously, the original and 2X Essential are indistinguishable to me even though their ingredients are slightly different. In the newer one, sucrose has moved up ahead of witch hazel extract and MOAR delicious ferments are included (galactomyces ferment filtrate and rice ferment filtrate (sake)). Glycolic and salicylic acids are still the operative acids–and still very low on the list. Pros: Just as delicious and hydrating as the original. Cons: No apparent improvement over the original despite reformulation. Not worth trying if you didn’t like the original. I’m so surprised that so many ‘essences’ have alcohol denat. so high up on the list 😦 I don’t necessarily have a poor reaction to it, but I guess I (personally) have some negative ‘feelings’ about it being that high up on the list. Was going to get this in Korea but the duty free sold them in packs of 4, haha! Thanks for sharing! I look forward to trying this when I clear out some of my stash that fits this particular step! Ugh. That was my constant problem in Korean duty free; why not buy 125 of these for such a great price? Eeehhh. Thanks but no thanks. Alcohol denat is out of control. Just bought the new Kenzo exfoliating water because I had a coupon, and I am curious about each and every acid toner out there. I could not find the ingredients anywhere online, so I took the gamble. And back it went, with alcohol denat as second ingredient. I just can’t. 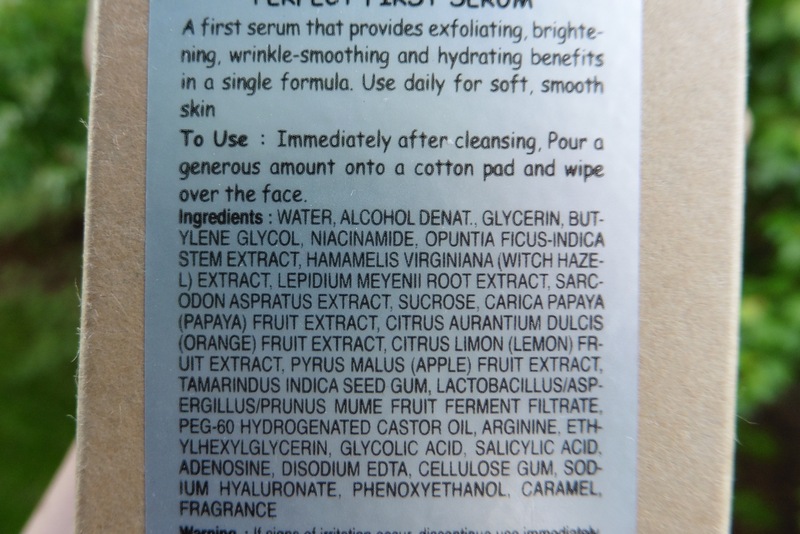 If I would want alcohol in my exfoliant, I would buy some Clinique lotion. But i don’t. And I feel insulted when people think it’s ok to put alcohol denat as a close to the top ingredient in either a toner or an fte. You know what, I didn’t even realize alcohol denat. was one of the “bad” alcohols until I read your comments and looked it up. 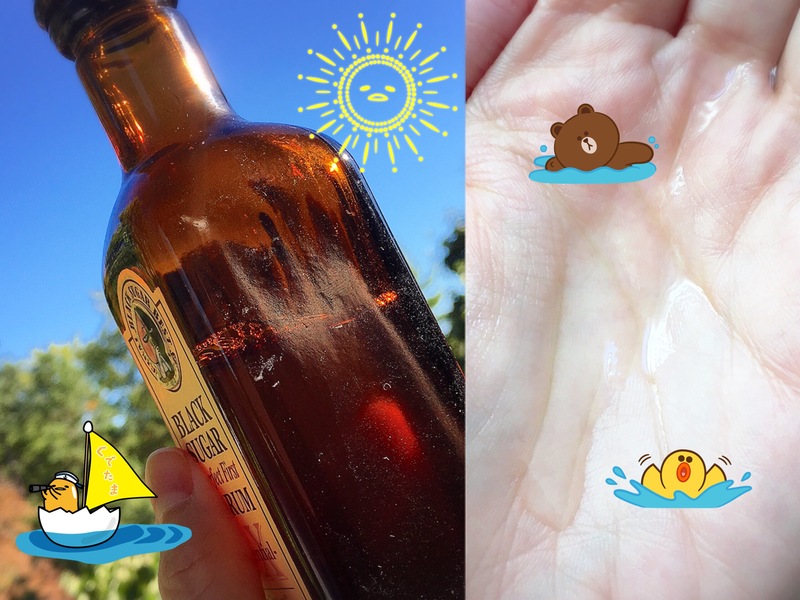 I mistakenly thought it was one of the OK ones because I normally avoid alcohol for fear of drying out my skin. D’oh. Thank you for pointing out the alcohol denat. (and see my comment to Camellia below). I agree, a 4-pack would have been a liiiiitle overkill 🙂 I mean, it’s great and all (and doesn’t dry me out despite the alcohol), but there are so many new Asian beauty products coming out all the time that you’d surely get bored before you could open bottle #2.